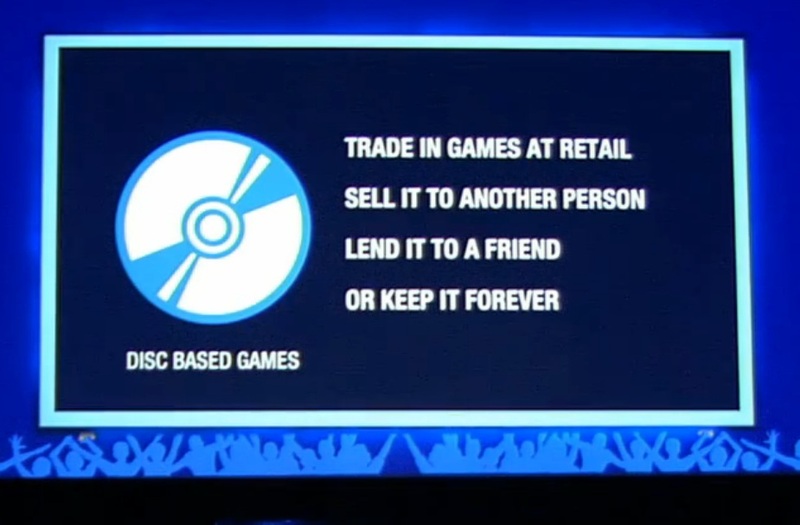 In a interview just done on GameTrailers.com, Jack Tretton has made a bit of a clarification in regarding to their used game policy. While Tretton confirms it is no problem on first party titles, he goes on to say that ultimately it’s up to the publisher whether or not there is some type of DRM for their game. “Well, I mean, we create the platform, we’ve certainly stated that our first-party games are not going to be doing that, but we welcome publishers and their business models to our platform,” Tretton said. “There’s gonna be free-to-play, there’s gonna be every potential business model on there, and again, that’s up to their relationship with the consumer, what do they think is going to put them in the best fit. We’re not going to dictate that, we’re gonna give them a platform to publish on. “The DRM decision is going to have to be answered by the third parties, it’s not something we’re going to control, or dictate, or mandate, or implement,” Tretton added. While it doesn’t check every 24 hours like the Xbox One, Sony was a little sparse on their policy last night at the presser. If publishers want to do an online authentication it will be done by the publisher itself, not part of the system like Xbox One. I expect this means Online Passes etc continue so developers can recoup some of the cost from used titles. This is still part of the reason Microsoft developed the XBone the way they have. Where to begin on this one. I find that you have to tread very carefully on this one. Do I agree with mandatory check ins on the system to authenticate the titles on it? Yes. I do. I believe there needs to be rules to play by. I believe there needs to be some control– people are assholes, and if you let those people run rampant, it creates issues. Do I agree with those check ins being every 24 hours? No. I don’t. That’s simply too frequent, especially with the amount of people who even in todays age may not have a 24/7 stable internet connection. I believe Steam does or did something along the lines of every 60/90 days. That, IMO, is an acceptable time frame. I don’t believe Sony lied. I DO believe they may have gotten a little excited when the realized the reactions were swinging in their favor and may have hopped on the “WE LET YOU DO ALL THE STUFF” band wagon. Leaving restrictions up to the publisher I find a solid choice. Let people be mad at Ubisoft, Square Enix, EA, etc. Almost comparative to my line of work. Don’t be mad a STAPLES when your ACER computer broke.